Click on the image for a 360° view. 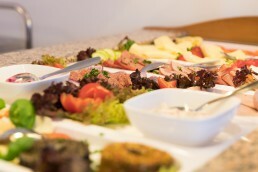 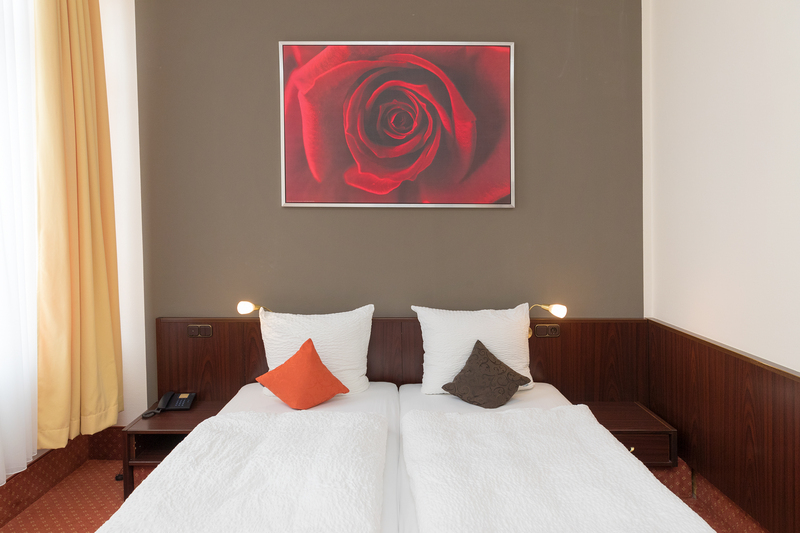 Enjoy all amenities in our 34 single- and double-rooms in the center of the Hanse-City Uelzen. 7 Standard Single-Rooms are comfortable, bright and 16 to 18m2 large. 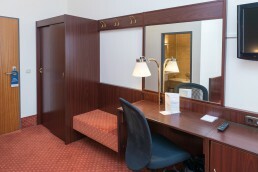 They are equipped with: shower, wc, hairdryer, writing-desk, safe deposit-box, cable-tv with flat screen and free WiFi. 6 Comfort Single-Rooms are comfortable, bright and 19 to 21m2 large. 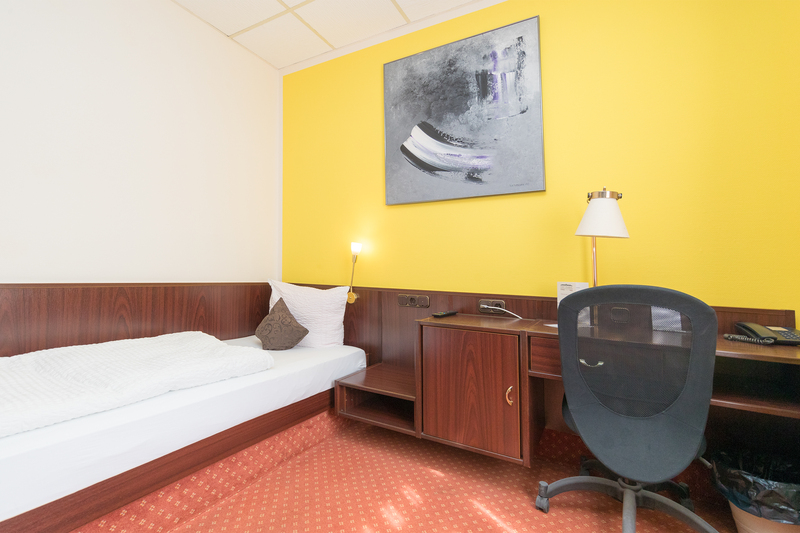 They are equipped with: shower or bath-tub with shower, wc, hairdryer, cozy seating, writing-desk, safe deposit-box, cable-tv with flat screen and free WiFi. 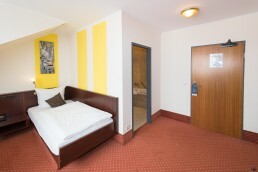 7 Standard Double-Rooms are comfortable, bright and 19 to 29m2 large. 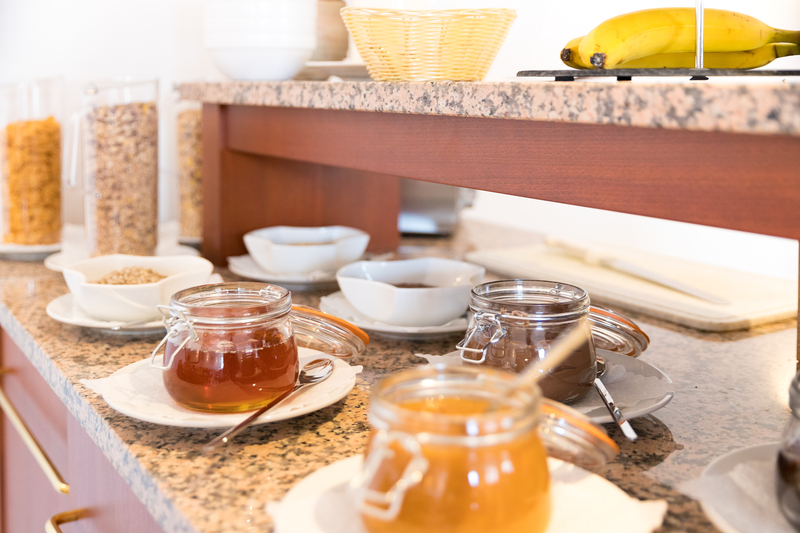 They are equipped with: shower or bath-tub with shower, wc, hairdryer, writing-desk, safe deposit-box, cable-tv with flat screen and free WiFi. 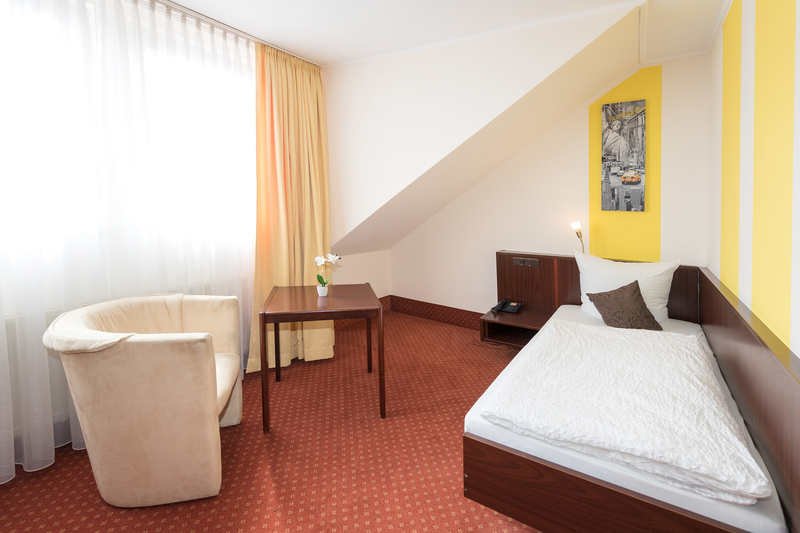 14 Comfort Double-Rooms are generous, bright and 20 to 27m2 large.